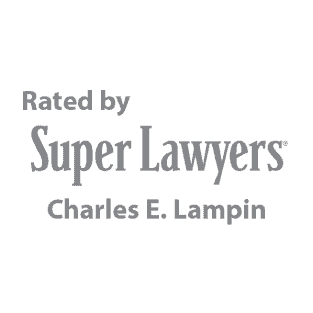 The Attorneys of The Lampin Law Firm been awarded several achievements including the National Trial Lawyers Top 100 Trial Lawyers as well as the Top 40 under 40. All of our attorneys agree, however, that the highest form of flattery comes from our past clients and it is their satisfaction that matters most to our legal team. 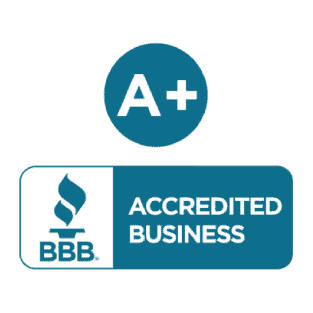 Demonstrating High Ethical Standards and Integrity- An AV rating ® signifies a lawyer who has achieved an elite status that far surpasses many others. By invitation only, those included in the Top 100 trial Lawyers by The National Trial Lawyers demonstrate superior legal advocacy skills, have a stellar reputation and have a positive impact on their community. 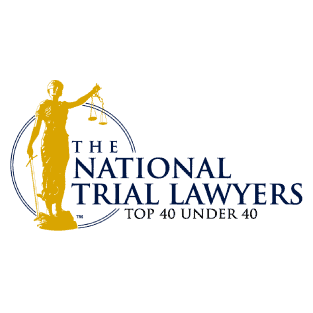 Composed of the top trial lawyers from each state or region who are under the age of 40. Membership is by invitation only and is extended exclusively to those trial lawyers practicing civil plaintiff and/or criminal defense law. MACDL is dedicated to protecting the rights of criminally accused through a strong and cohesive criminal defense bar. They strive to improve the quality of justice in Missouri by seeking to ensure fairness and equality before the law. As a member of NACDL, Ross Buehler and our entire criminal defense team work to ensure justice and due process to those accused of crimes or misconduct. Recognizes attorneys for their excellence in their field and have achieved unparalleled success for the benefit of their client. Membership is an exclusive honor and extended only to those selected few who have reached the top of their profession while doing so with the client’s satisfaction being of the most paramount importance.